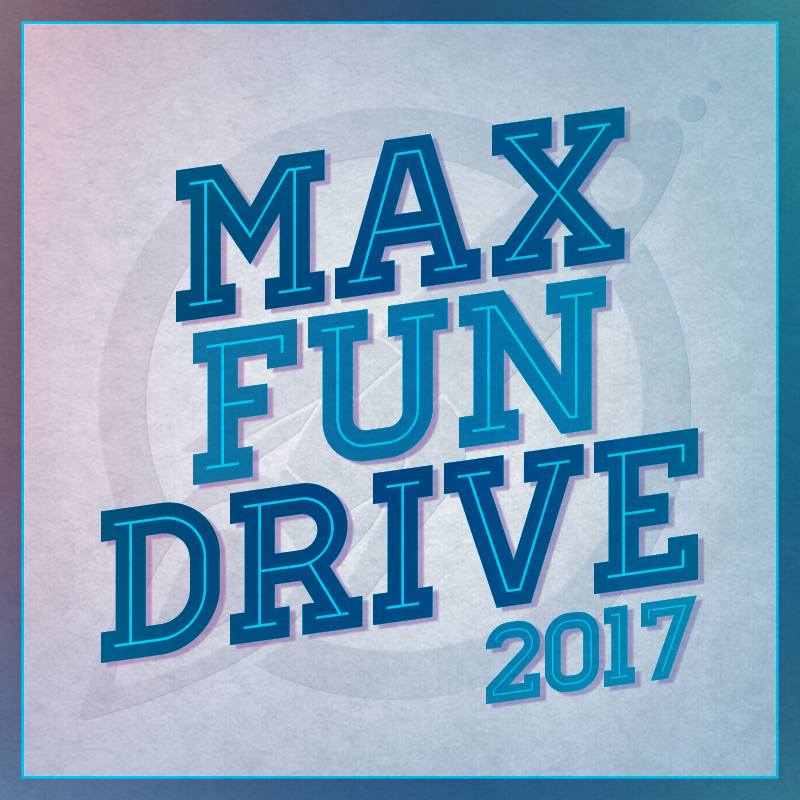 Announcing MaxFunDrive 2017 Weekend Amnesty! Holy smokes! This has been, by far, our biggest, most successful MaxFunDrive ever, and it's all thanks to you, our wonderful listeners. Thank you so much for stepping up, joining, upgrading, and spreading the word. You rule. If you're just now tuning in, don't fret -- we're going to continue to offer our amazing pledge gifts over the weekend. Simply join or upgrade your membership before Monday, get your gifts, and support your favorite MaxFun shows! We'll get back to you soon with more information about how $10+ monthly members can purchase additional pins, but for now, enjoy the feeling of knowing you make all of our shows possible. Thank you so, so much!